We truly love what we do and enjoy helping to improve Happy, Healthy Smiles. In addition to creating the best possible lasting smiles, we pride ourselves in building positive relationships with our patients. The nicest compliments we can receive are referrals from our patient-families and kind reviews. And now, some kind words from patients…. Our family of four has all been treated by Dr. Landucci (and Dr. Garabedian). My husband and I had Invisalign braces (which are a series of progressive acrylic upper and lower inserts, worn for two weeks each, before changing to the next ones). I cannot say enough about the improvement in my bite, the movement of teeth and overall long term improvement in my smile, making it so much easier to floss. Dr. Landucci and his team are nothing short of a wonderful, caring, family practice -- a well-oiled machine which has a ton of experience with all ages of kids and adults. My husband was equally pleased with the results of his Invisalign experience.Our two children also were treated at Dr. Landucci's office with regular metal braces and retainers. Both experiences were excellent -- the scheduling, the workings of the office, minimal waiting time, even down to the little details like a written excuse to submit to their school for the absence, all done cheerfully and efficiently.I had occasion to visit the office recently, and was pleased to find that it had been remodeled and expanded. From conversations I have had, I know that the staff keeps up to date on all the latest procedures, and I have always observed a very friendly and professional attitude in dealings with patients. I recommend this office highly. 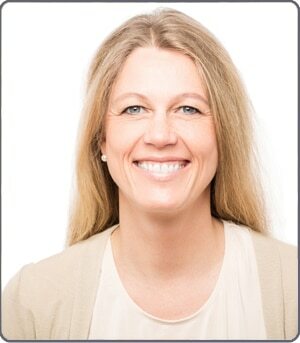 I have known many people that have come to Dr. L and have been very happy with their results. My family has been seeing Dr. Landucci for Orthodontic treatment since my daughter was 7 (started with a jaw expander, completed Invisalign and is in the retention phase.) Her teeth were a mess (very overcrowded) and I was so happy she didn't have to have extractions, as I had when I was a kid. The contract for both phases was very clear cut and retention fees were spelled out completely. Her teeth look amazing, and we were pleased that Dr. Landucci was willing to do Invisalign on her, even though she is a pre-teen. As her treatment was nearing completion and my son was not ready to begin his treatment (Dr. Landucci has been assessing him, free of charge for years and has told us we should wait until all his teeth are fully in), I decided to do the Invisalign myself. Again, the fees were clearly stated in the contract, and since a portion is covered by our insurance, his staff billed accordingly and I never had to pay that portion out of pocket.The important thing for anyone undergoing orthodontic treatment to know is that sometimes, the result you want, and what can realistically be achieved, are two different things. Dr. Landucci's expertise means that he is aware of the importance of bite and jaw alignment when determining the final result. Teeth can't just be moved without taking that into consideration or they can be weakened and you will wind up with bigger problems in the end. For both my daughter and I, Dr. Landucci provided a ClinCheck email that allowed us to see the final position of the teeth before he even ordered the aligners. At the end of my first round of aligners, I wanted my teeth a bit farther back and Dr. Landucci did a "refinement" at no charge (again, all stated up front). He certainly listens and wants his patients to be happy, but he also wants them to keep their teeth.Interestingly enough, after recently examining the position of my son's teeth, Dr. Landucci has suggested that he is a better candidate for braces, rather than Invisalign, as the result will be faster and less expensive. This only reaffirms for me that Dr. Landucci is more interested in his patients than profit.His office staff is very nice, his practice state of the art. Yes, he has been doing this a long time (Orthodontists never retire), so he has seen it all, yet he always challenges himself with new technology. He is responsive to questions and is a perfectionist when it comes to results. Oh, and did I mention? My teeth look great. After consulting with several recommended orthodontists, we chose Dr. Landucci. My wife and I liked him the first moment we met him. He's more than willing to spend his time to sit down and discuss any question or concern. He and his associate, Dr. Garabedian, are very hands on... He has the most realistic and appropriate treatment plan, very good communication, no surprises on the cost and treatment time, very convenient location and he has exceptionally trained and knowledgeable staff. Any question on payments, insurance, or how treatment will go are readily answered in an easy and understandable way. After a year and a half (as planned), our daughter's smile is fabulous... We could not be happier and I can honestly say we had a great experience. 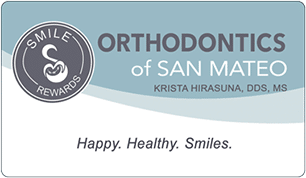 Just moved to San Mateo a few weeks ago and was urgently in need of a knowledgeable orthodontist to continue my care. Thumbs up for Dr. Landucci and his team. Everyone I interacted with was friendly and helpful. Getting an appointment was incredibly easy for such a well reviewed dentist. I was quite pleasantly surprised when I called and the receptionist told me there was an opening the next day which was a Sunday! How convenient was that? The office is so nicely equipped with state-of-the-art technology. The finger scanning to check in is cool! Dr. Landucci was efficient and sympathetic. He spent quality time with me and the treatment plan was well explained to me. I got my money’s worth there. Very happy with my decision to continue care with him. Both my sons and my best friend's family have gone to Dr. Landucci. He is the perfect combination of an artist and a scientist. He put together a good plan to treat my twin sons that seemed to cut down the time they would need braces.My boys each had palatal expanders at about age 6 for about a year. This allowed room for their adult teeth (we all have small mouths) to come in. We returned for braces when their adult teeth came in (one son was ready sooner than the other) and each boy needed them for only 16 months. Their teeth are perfect now. Dr. Landucci creates the treatment plan and Dr. Garamendi and Dr. Landucci both make the periodic adjustments.Dr. Landucci is the same doctor Tom Brady uses...you know, our local New England Patriot with that great smile! If you are looking for artistry and professionalism (I am an artist, by the way), I highly recommend Dr. Landucci. His newly-remodeled office in San Mateo is bigger and much nicer than the old cramped space before (the old crowded waiting room was the biggest drawback). But, if you are looking for glitz or chatty talk, better look elsewhere...this practice is all about giving you a great smile! And kudos to Dr. Landucci for creating scholarships for science and math students in the local community!